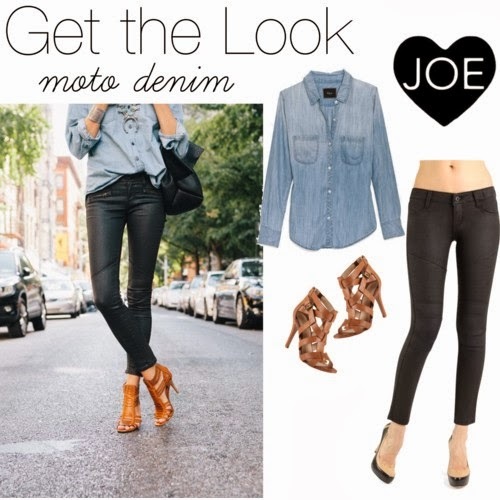 shop JOE: Just In: Moto Denim from James Jeans! Another super easy and adorable way to style your Moto jeans is with a soft blue denim shirt, like our Rails Kendall, Carter, and Blake. Accesorize with some chunky solver jewelry, ankle boots, and a black bag. Show us how you'll be wearing your moto jeans this season by posting a picture on Instagram, Twitter, Pinterest or Facebookwith the hashtag #shopJOE for a chance to be featured on our blog!